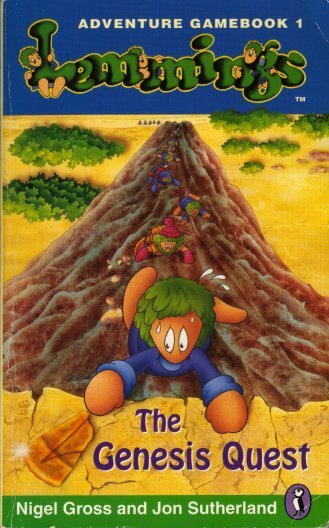 This book was released in 1993 as an all-in-one guide to Lemmings. It was released under Prima's Secrets of the Games label. One of this book's most attracting feature is the bonus disk. This disk contains 16 new lemmmings levels using the graphic sets from Oh No! More Lemmings. Learn more about this game! 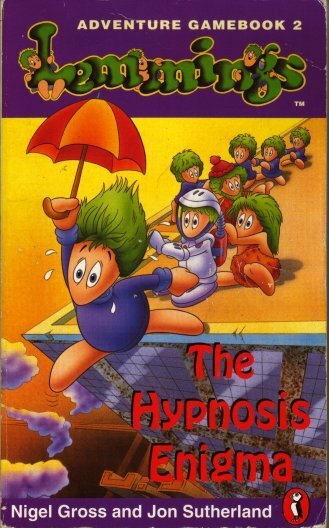 The book starts off with an introduction to the Lemmings games, followed by the original game's history and then a quick start guide to using the game and the book. It then has a list of the Lemmings level codes and then a double page with hints and tips. After the intro, we receive the bulk of the book, in other words the walkthroughs to both the Original Lemmings Game and the Special 16 level bonus disk. These walkthroughs are very comprehensive and easy to use. There is a double-page for each level. To start off, the walkthroughs contain statistics for PC, Macintosh and Amiga. (Number of lemmings, % to be saved, release rate, time) It then provides an introduction paragraph to the level containg useful information about the level's layout, it's title, etc (For example: we learn that the name Worra Lorra Lemmings [Fun 29] is Whatta Lotta [What a lot of] Lemmings with a thick Scottish accent). Each walkthrough contains a black and white screenshot of the level with various 'points' in it. These points are used in the actual walkthrough (For example: It might say "Dig at B"). The walkthroughs are written in steps and are comprehensive and easy to use/understand. In some walkthroughs there are some bonuses. One of these is a suggestion of how to do the level so it is more challenging (For example: In the "We All Fall Down" level sets, it suggests trying to do the level with a 99 release rate). If some bit in the walkthrough is hard to describe, it might contain a small screenshot featuring the technique in action. The most common bonus is an "ending" paragraph saying whether the level layout appears later in the game. The start of this book tells us a bit of Lemmingology (the study of Lemmings). 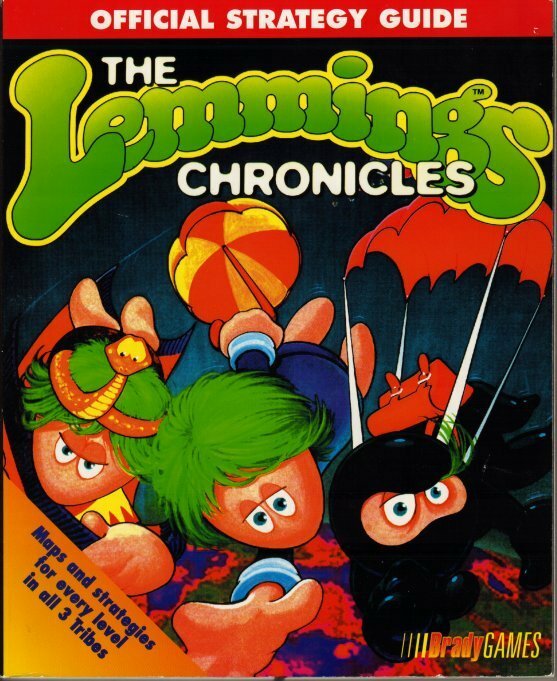 Throughout the book we get extracts from "The Book of Lem" along with some interesting facts on Lemmingology (such as what Lemmings do when they panic) It also gives us a good idea of what's happenning in Chronicles, where it's based in the Lemmings saga and why the Lemmings need your help. Following that, it gives us an excellent piece of information on how to successfully run Chronicles under Windows 95. This is VERY helpful for people who are stumped when the game just refuses to run. After this, assuming you're now running Chronicles it gets to the important stuff. It tells you how to use Chronicles and an explanation of every bad guys, lemming tool, lemming skill and every option you could possibly need. If, after all those lovely hints and tricks, you're still stuck don't worry. Following all this, you get walkthroughs of the game presented tribe by tribe. The walkthroughs include a black and white picture of the level, a hint, a list of techniques to use in the level and a list of pitfalls to avoid. Although this is a quality book, the bulk of it is available in some form or another on the Internet (hints and tips, walkthrough and technical help). Basically, the only stuff you can't obtain elsewhere is the Lemmingology/Book of Lem humour, the black and white screenshots and the Pitfalls to Avoid in the walkthroughs. Overall, a quality book despite the lack of new content. 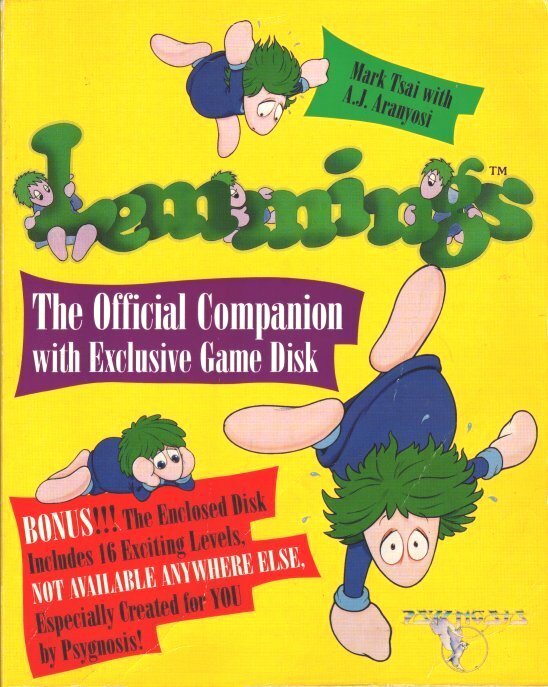 You'll have to decide whether you want to buy it or not, but in my opinion, this book isn't the excellent value "Lemmings: the Official Companion" (above) was. I'm sorry to say that I have very little information on this book. If you own this book, please let me know. This book is a gamebook, similar to 'Choose Your Own Adventure'. In case you don't know what this is, you start at paragraph 1 and are given several options. You select an option and then proceed to that paragraph. Making the right choices, you can solve the problem. The situation in this book is that the medallion that was lost and then found in Lemmings 2: The Tribes has gone missing again. It is your job to help the Lemmings find the medallion again. This book is "dripping" with great black and white Lemmings artwork. If you find gamebooks an atrocity, no. :) Otherwise, this is a quite enjoyable book. And for art lovers, this is a gift. Overall, if you like gamebooks, you're sure to love "The Genesis Quest". The situation in this book is that something strange is happenning to the Lemmings. All the tribes are starting to do strange things and have started a gradual misssion of destruction. You must, with the assistance of the Lemmings who are still free, stop this disaster and save Lemmingland! This book is quite harder than the previous "Lemmings Adventure Gamebook", "The Genesis Quest". Again, this book is "overflowing" with black and white Lemmings artwork. Pretty well the same as "The Genesis Quest" (above). If you like gamebooks, this is a must. The art in this volume will make any art-lover happy. Again, quite enjoyable and worth the cost. This book was an amusing story book included with the limited edition of Lemmings 2: The Tribes. It tells the story of Jimmy McLemming going around Lemmings Island to get the Medallion. It is full of bad puns (eg: Jimmy goes into the Throne Room of the Medieval Tribe looking for the king and instead goes into a bathroom with the king having a bath. [toilet = throne]) These puns get a little tedious after the 3rd read. This book is a nice touch to the game but it's absence in recent versions of Lemmings 2: The Tribes does not take away from the fun of the game. 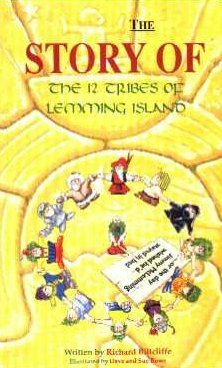 If you have the Limited Edition of Lemmings 2: The Tribes, you should have this book already. Otherwise, I wouldn't bother. If you don't yet have Tribes, you might want to look round for a Limited Edition game package. If you're a proud owner of Tribes, don't bother.